It’s long been claimed that any advertising is good advertising. After all, controversy still brings brand awareness, right? But do you really want that awareness to bring hatred and loss of customers, too? Apparently GoDaddy thought so. 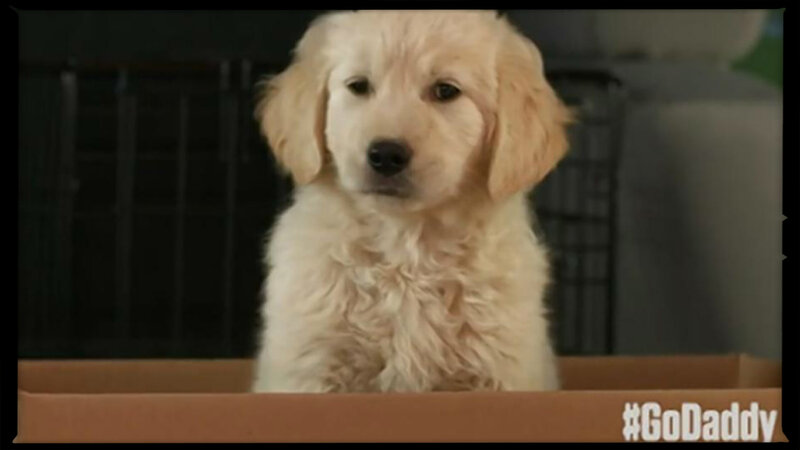 By now most people have seen GoDaddy’s latest ad that was “supposed” to be for the SuperBowl, in which a puppy, Buddy, gets lost from his owner/breeder, then finds his way home only to discover he’s been sold online. GoDaddy claimed they were going for a funny spin-off of Budweiser’s beloved puppy ad, but decided to pull it amid all the backlash. So now are they any better off than they had been before? On the one hand, this publicity may have been a great idea. I have an inkling that GoDaddy knew this might blow up in their face, since they already have another ad they’re planning to air in this commercial’s place during the Super Bowl. Maybe it’s just a normal ad they’re paying an obscene amount of money for now, but I think it’s their backup plan. Possibly it was their plan all along and they had always intended on playing this second ad, and just used this one to call some extra attention to themselves. I can pretty much guarantee people will be checking in to see if their second ad is just as controversial as this one. So in a weird sort of way, this could have been an ad for their ad. And GoDaddy is no stranger to weird, controversial ads. Just one thought of their kissing ad with Bar Refaeli is all it takes to remind us that squeaky clean is not what they’re going for. Yet even after that fiasco they apparently kept making enough money to fund another Super Bowl ad. So the real question is whether they gain more customers who had never heard of them than they lose current customers because of their commercial. It may have worked in the past, but this time might be different. The animal rights activist groups are not ones to mess with. Nearly everyone who has a dog has a strong opinion on the breeder vs. shelter discussion, but puppy mills are an even bigger issue. To offend America’s favorite companion during America’s biggest day of sports is a big no-no. And as if offending possibly hundreds of thousands of people wasn’t bad enough, this ad came out right when Budweiser’s very similar but much more tasteful commercial was released. So not only do people have a reason to complain about GoDaddy, Budweiser gets extra free advertising when people hail them as the right way to make a puppy ad. There’s a fine line between pushing the envelope and causing controversy to get your brand name out there and trying to just tick people off. While GoDaddy appeared to be going for the former, to many people it came across as the latter. There’s no way to tell immediately if GoDaddy will be able to fully recover or improve their company after this ad, so only time will tell at this point. What do you think? Did GoDaddy cross the line? Or is any publicity really good publicity? Just in case you haven’t seen the controversial ad yet, here it is below. And because I know everyone is going to want to see Budweiser’s to compare, here that is too.